A quick one for this challenge in beyondgrey. 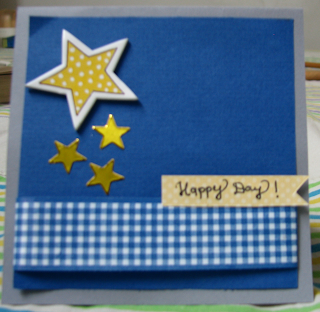 I used the chipboard from a scrapbooking kit and the other stars are from a sticker leaf bought locally. The ribbon was bought on last trip to Mumbai. The sentiment is hand written. Sorry for the bad picture quality. but my camera refused to take a clear picture. Lovely creation ! Thnxx for joining us at BGC ! 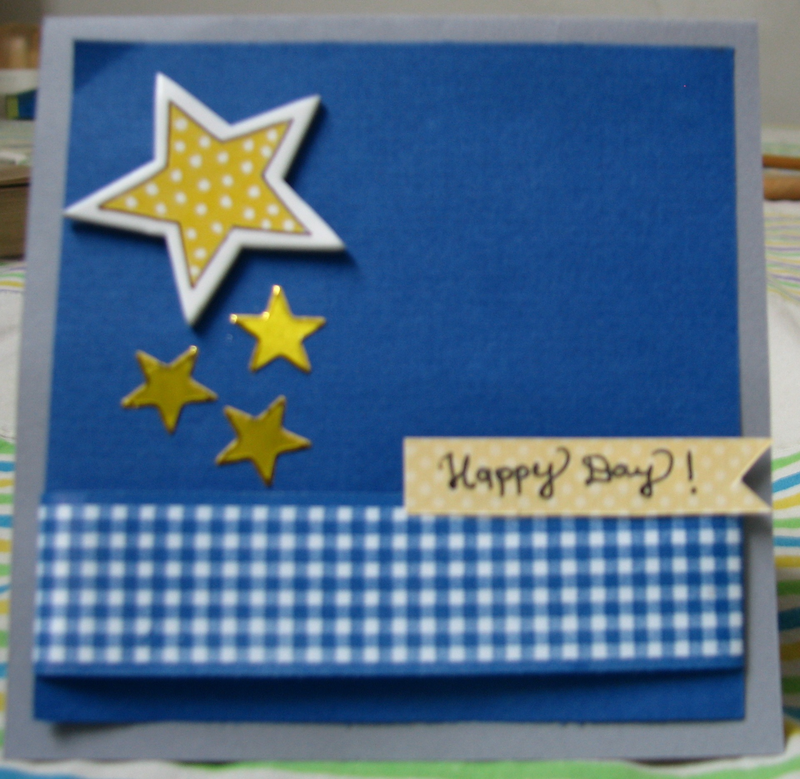 Very pretty CAS card..love your hadwritten text..looks as if it is stamped !! Very pretty. Love the blue.